There is no greater illustration of the vast disparity of real estate values that capitalist cities produce than the tremendous cluster of skyscrapers between Lake Michigan and the prairies of the American West. By the 1880's the world's busiest river traffic and a thick belt of rail terminals prevented Chicago's central business district from expanding beyond a single square mile. The extreme centralization of the city's infrastructure in a relatively small location thus facilitated the birth of the skyscraper on what was nothing more than a swamp 50 years earlier. Though Chicago was one of the first cities to grow vertically, it was also one of the fastest sprawling metropolitan areas in history. This pattern of simultaneous concentration and dispersal continues to define the City. Recent census figures show that downtown Chicago is the fastest growing central area in America. In the map below red represents population growth, green represents decline. What's showing up as population decline in Northside Lakefront neighborhoods in the map below is due mostly to the effects of extreme gentrification - where physically large, wealthy homes and condos are replacing what were once smaller, more densely populated units (More on this later). If Chicago were still defined by its 1875 limits, it would be the fastest growing city in America. Within these 1875 boundaries the City continues to rapidly gentrify. Roughly 10 high-rise apartment buildings are under construction within a 3 blocks of the central branch of the river. A dozen more are planned within the downtown area. Before the real estate crash Chicago was building what would have been the tallest residential building in the world (The Chicago Spire). But Chicago isn't just defined by a 2-mile radius from City Hall or its 1875 municipal boundaries. Downtown isn't hemmed in by massive rail yards anymore. The City isn't confined to an island like Manhattan or squashed between mountains and a harbor like Hong Kong. There is, at face value, no obvious reason for Chicago to continue growing vertically while vast swaths of the South and West Sides are vacant and depopulated. Though natural and physical barriers have been overcome, social and economic forces continue to facilitate the concentration of Chicago's growth in the Central City. Outside of downtown, and unlike older cities on the East Coast, Chicago remains primarily defined by single family homes and two flats. The neighborhoods that are now the most impoverished in the City (Englewood, Garfield Park, Austin, etc.) 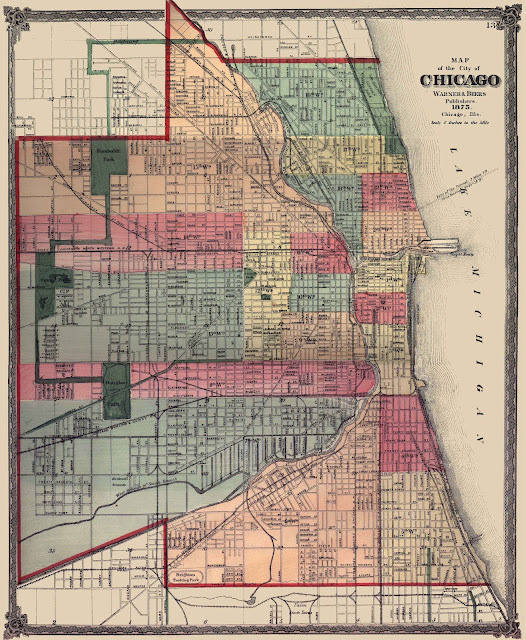 where literally Chicago's suburbs in the late 19th Century. Though these areas were annexed by the City they never urbanized as extensively as areas closer to downtown and the lakefront. As a result their housing stock remains generally comprised of relatively flimsy stick-built buildings instead of solid brick and stone construction. With less density there where naturally fewer business to begin with. As these former suburban neighborhoods began to decline they became isolated from almost all economic activity. 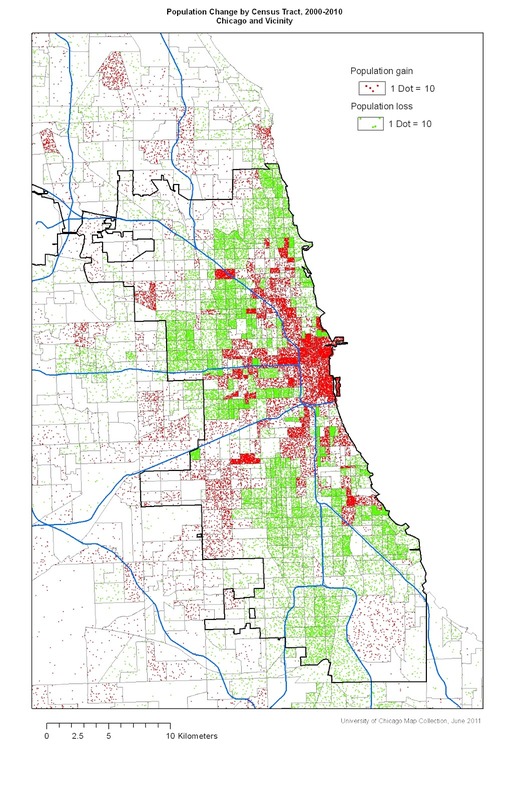 The nature of Chicago's built environment (an extremely dense core surrounded by vast areas of relatively low-density housing) has thus facilitated the isolation of poverty in outlying neighborhoods to a much greater degree than older East Coast Cities. Chicago's unique historical circumstances and physical organization continue to vividly illustrate the spatial disparity that our socio-economic system produces. As demographics and energy consumption patterns pivot development toward traditional urbanism, Chicago's impoverished outlying neighborhoods may also foreshadow the decline of low-density suburbs across America. Market capitalism - especially unregulated market capitalism - exacerbates the accumulation of wealth, infrastructure, talent and opportunity in certain locations while isolating and impoverishing others. Advantages and prosperity don't trickle down, they concentrate. New York may be more gentrified, but only Chicago illustrates the simultaneous clustering of high-rise developments immediately adjacent to thousands of vacant lots. Areas that were nothing but rail yards and warehouses are now teaming with luxury high-rises. 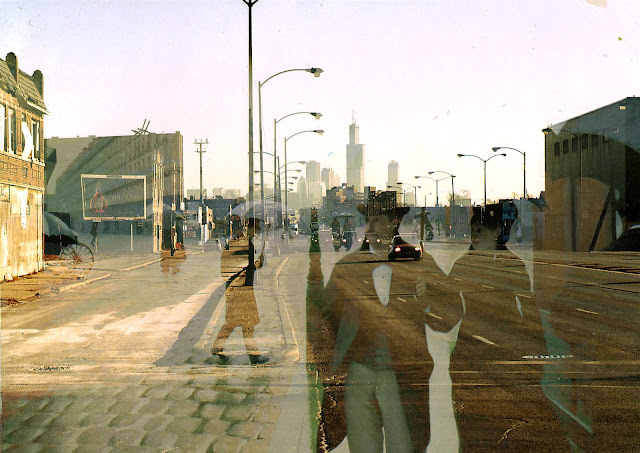 These conditions have created a very strange sensation when approaching the Loop from the West and South Sides - a mirage of prosperity in a desert of vacancy - as if Manhattan suddenly landed in the Detroit River. Of course this also presents a tremendous opportunity. No other great city of the world contains this mix of vibrancy and vacancy. Cities like New York, Boston and San Francisco are almost complete. New buildings will come and go and neighborhoods will change, but there isn't an opportunity to completely re-imagine these cities. Chicago has that opportunity. It literally has a void of space to reinvent itself in. Detroit and other towns of the Great Lakes have this opportunity as well, but only Chicago is already anchored by a strong center.